The story behind some Sept. 25 Madison Square Garden furniture. The Associated Press has been on the leading edge of a topic that is going to be covered a great deal more. The chair constructed for Pope Francis’ Sept. 25 Madison Square Garden mass. “It is a great pleasure to do this. The pope is our idol,” Santamaria said. 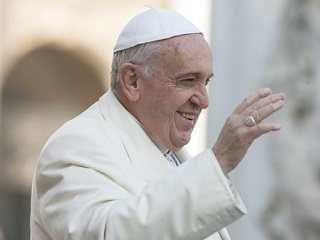 “A chair represents unity and a chair represents teaching authority,” Dolan said, adding that the pope wanted something simple and wooden without any designs. A separate group of men at Lincoln Hall Boys Haven in Lincondale have built a lectern and alter for the upcoming Friday mass ceremony.